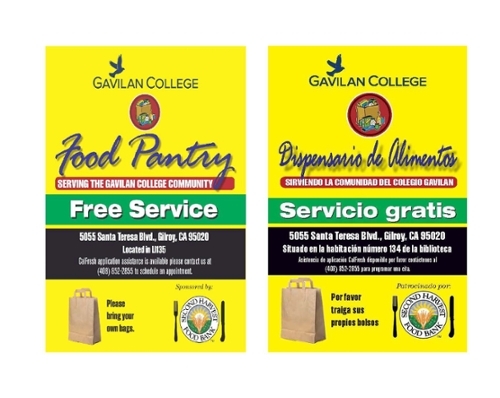 The Gavilan College food pantry is a collaboration between Gavilan College CalWORKs, Fresh Success, Association Students of Gavilan College (ASGC) and Second Harvest Food Bank. 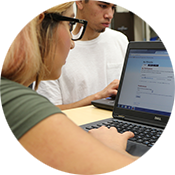 The pantry is open all year long and serves the entire Gavilan College Community. 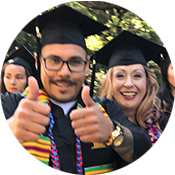 The pantry provides supplemental non-perishable goods to individuals and families who fall within the income guidelines. 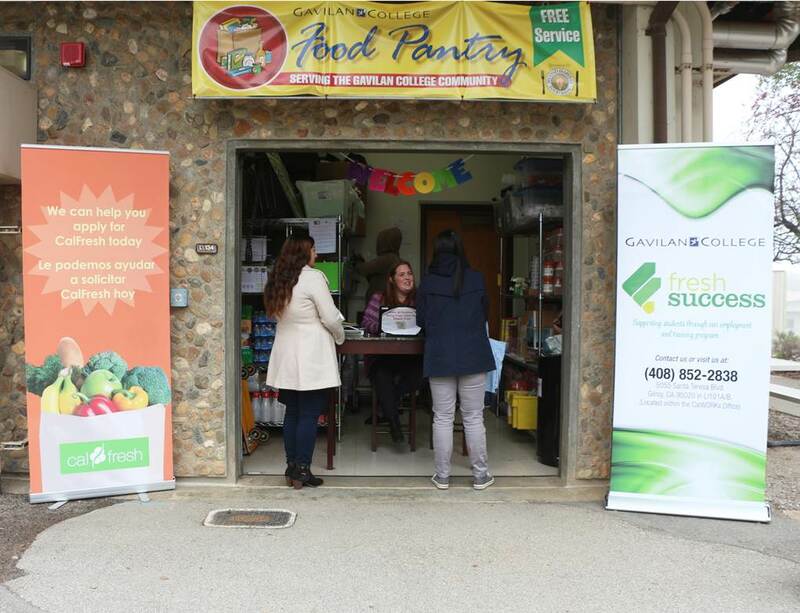 Free prefilled bags of food available for families and individuals.